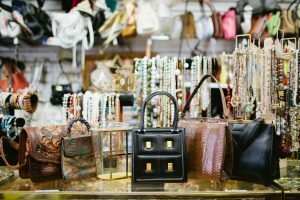 Amidst its fabulous and upmarket shopping scene, Singapore is also thriving with thrift shops and flea markets, all filled with interesting items at extremely cheap prices. However, the thrill of finding new things from these stores often don’t last because if you’re not selective of the things you buy, you’ll end up with a box of useless things that will only cause clutter in your house. 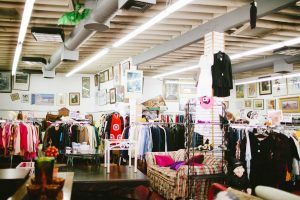 To ensure your space remains clutter-free, here’s a list of things we strongly recommend that you should avoid when going thrift shopping. Many of us have this I’m-going-to-make-this-work mindset when we see an interesting retro fashion item. Unless you are going to a 70s-themed costume party this Halloween, it would be good idea to just leave it on the rack. Second-hand boutiques are great places for scoring items to up-cycle. However, if you can’t commit a hundred percent to repairing a damaged thrift find, better just skip it. Otherwise, that cabinet with the broken drawers will just become a big clutter in your home. When checking out old vases and frames, sometimes we find something that initially looks stunning that we look past its cracks and damages. If you know how to fix it and you’re absolutely sure you can, go ahead and buy it. If not, buy something else. 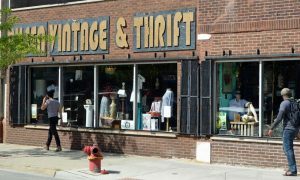 You might think you’d do better hunting for waffle maker and toaster at a local thrift shop than spending hundreds of bucks at a retail store. Sure, you can find such appliances for SS10 or less, but you run the risk of purchasing outdated appliances that may not work with your household. This does not only add clutter, but also is a waste of your money. Thrift shops are excellent places for finding marked-down jewelleries. However, if you are not knowledgeable about recognizing genuine stones and metals, you can easily be deceived into buying fake items. If you love to read, by all means help yourself to the piles of books at the stores, but be sure not to pick ones with cheap covers or damaged binding. Surely, after reading the book you’d want to display it, and it wouldn’t be worth displaying if it’s falling apart. Shopping in Singapore has gotten more expensive over the years, which is the very reason why thrift shops sprung up like mushrooms. If you just know what to buy and not to buy, you will certainly find incredible second hand steals that are actually useful. We try our best to keep our homes clean, especially during this time of the year when family and friends are bound to visit your home to celebrate the holidays. Cleaning should be made easier, but do you have the right products and tools? Here’s a round-up of the basic cleaning agents and tools to help keep your home squeaky clean and ready for the season. 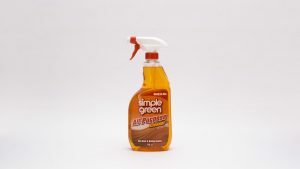 Find an all-purpose cleaner that isn’t just powerful, but non-toxic as well so you won’t have to rinse it afterwards—just wipe it dry, saving you a lot of time when cleaning. Natural ingredients like coco oil and corn oil boost the grease-busting properties of the product while keeping it toxic-free. Use them to wipe clean the countertops and the dining table. Soft sponges and rags just won’t cut it. For more intensive cleaning or hard-to-remove stains and grime, you need stiff brush to have it done. Brush with handle would be ideal to keep your hands off the grime. A scourer pad has so many uses: it scrubs away grime, removes encrustations from pans and helps remove dirt and mould build-up in between tiles. 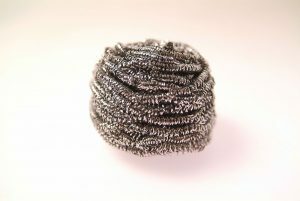 Purchase a pack of these scrubbers as they get worn out quite easily. Every professional cleaner swears by plain old bleach. Other than keeping your laundry crisp white, bleach is an effective cleaning agent for removing mildew and moulds on tiles, cleaning plastic chopping boards and other cooking tools and disinfecting trash cans. This particular type of cleaner has many different uses: it can be used to deep-clean stone surfaces and ceramics and polish stainless steel tools, fixtures and metal cookware. It also easily removes hard water stains on sinks, shower doors and bathroom walls. When you’re done deep-cleaning your house, spritz all the rooms with an air freshener in your choice of scent. 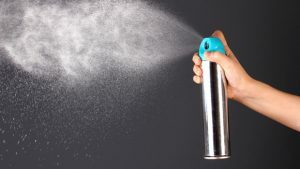 A disinfectant-deodorizer air spray is a better option as well. You can find a myriad of different scents in the supermarket, but we suggest getting a fresh, clean scent, like ocean breeze or light floral scents. Cleaning your home and making sure it always looks presentable is a tedious task. However, if you have the right cleaning tools and products, cleaning could be done much faster, allowing more time to spend with the family and your guests.